In 2018, 75,279 individuals in North Dakota were living in poverty. On average, 9% of our state’s household populations were food insecure from 2015 to 2017. This meant that at some point during that time, they had trouble providing enough food due to a lack of money or resources. 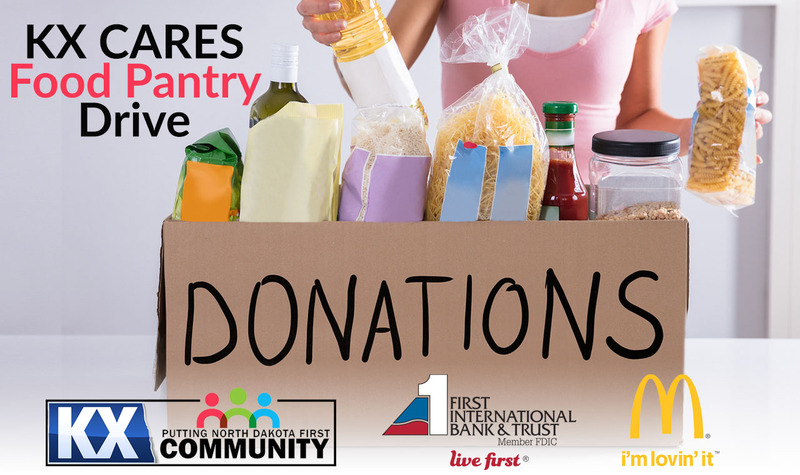 This November, with your help, we’ll work to make a difference in the lives of those that need it most with the KX Cares Food Pantry Drive.